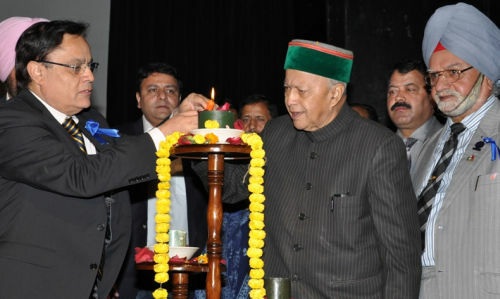 Chief Minister Virbhadra Singh inaugurated the 5th National symposium on Oral and Maxillofacial Surgery jointly organized by Indian Academy of Maxillofacial Surgery and Indian Dental Association at Shimla today. Speaking on the occasion Chief Minister said that a large number of Specialists and Post-Graduate Students of the Country were attending the symposium which was first of its kind held in the State. He said that Specialists from Tata Memorial Hospital, Jaslok Hospital Mumbai, PGI Chandigarh, Govt. Dental Colleges Amritsar and Shimla alongwith other renowned dental institutions would deliberate on various aspects of Maxillofacial Trauma, Maxillofacial Pathology and Basic Sciences. He said that interactive sessions, video of surgery and the case discussions were integral part of the symposium which would make it more interesting. Chief Minister said that his Government had accorded top priority to health sector in the state alongwith dental care and added priority was being given to provide best health care facilities in rural and far-flung areas. He said that efforts were being made to provide free health care facilities and free medicines to the people in all public health centres in the State. He said that steps were being taken to fill up all vacant posts of medical and dental doctors, nurses and para-medical staff which were lying vacant since long. 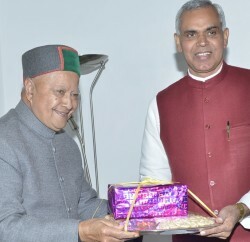 Besides efforts were being made to upgrade the facilities available in all the Medical Institutions of State, IGMC, Himachal Pradesh Government Dental College Shimla as well as Dr. Rajendra Prasad Medical College and Hospital, Kangra at Tanda. Dr. Anoop Garg, welcomed the Chief Minister and detailed about the symposium. Padamshri Brig. 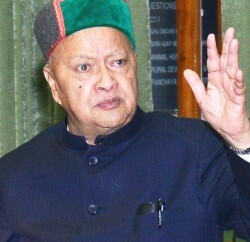 Anil Kohli said that Chief Minister Virbhadra Singh was the legend and tallest leader of not only State but in the Country under whose vision and efforts the health and dental services expended manifold. He said that their used to be only one Dental College in Shimla but now the State has three private Dental Colleges and more than 240 dentists were employed in Government institutions only. Irrigation and Public Health Minister Vidya Stokes, Urban Development and Town & Country Planning Minister Sudhir Sharma, Dr. R.S. Maan, Principal, Govt. Dental College Shimla Dr. R.P. 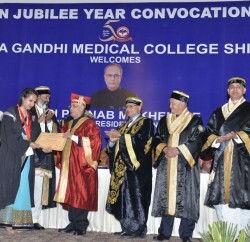 Luthra, Dr. Maj. Gen. P.N. Awasthi, Dr. Bhagwant Singh, Dr. Sanjay Kalra and other Specialists were present on the occasion.